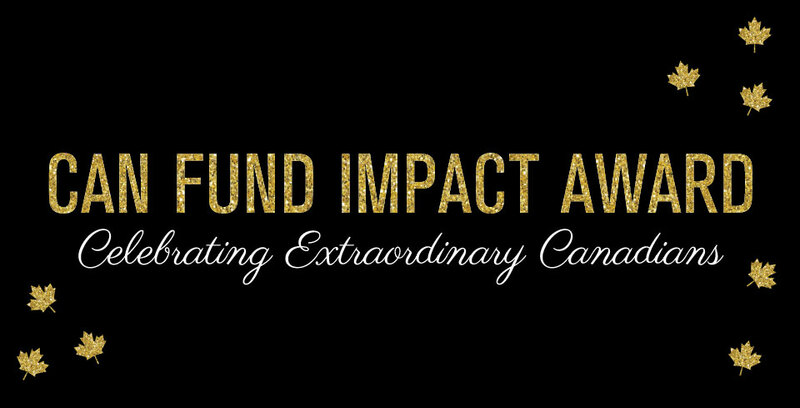 The CAN Fund Impact Award is a new honour recently established to celebrate extraordinary Canadians. Individuals from all different sectors are being acknowledged for the significant impact their work has made and continues to make in the lives of others. 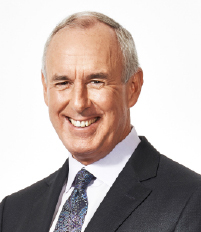 Ron MacLean is the first CAN Fund Impact Award Winner. Ron is well known for is superb Olympic hosting. With an eye for detail and an appreciation for what makes a great story. Ron has hosted 11 Olympic Games including: Seoul 1988, Albertville 1992, Atlanta 1996, Nagano 1998, Sydney 2000, Salt Lake 2002, Athens 2004, Torino 2006, Beijing 2008, Sochi 2014 and Rio 2016. 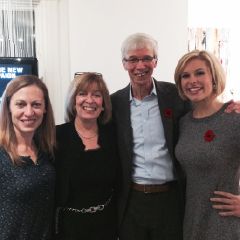 The CAN Fund Impact Award celebrating Ron MacLean was held at the CAN Fund House during the Pan Am Games in Toronto. The evening was titled “Be Great” An Evening With Ron MacLean. Our CAN Fund guests had the opportunity to hear Olympic athletes share what it was like to have their first interview with Ron MacLean at the Olympic Games, to how impressed they are with his knowledge, wit and interview preparation. Ron took the stage and shared a variety of stories from his first big break, Olympic interviews and his most impactful moments in his career. 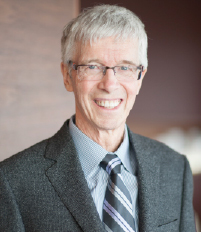 CAN Fund is very proud to have Dr. Peter Jensen become a CAN Fund Impact Award winner joining Ron MacLean with this honour. Peter has attended eight Olympic Games as a member of the Canadian Olympic team and has helped numerous athletes including over 70 medalists achieve high performance levels and personal bests under intense pressure. Most recently, Peter has worked with the Women’s Basketball team winning gold at the FIBA Americas Championship and earning their ticket to Rio 2016. Peter is a speaker, author, teacher and PH.D in Sport Psychology. Along with being a “game changer” for many of Canada’s top level athletes Peter has also worked with Fortune 500 companies from 8 different countries. He is a teacher at Queens Business School and his book Ignite the Third Factor was listed as one of the ten best business books for the year by the Globe & Mail. Peter’s latest book Thriving in a 24-7 World will be in book stores in early December. Our CAN Fund guests were treated to Peter’s dynamic speaking and personal stories from his first Olympic Games in Calgary 1988, to removing curses from hockey sticks to sharing his wealth of wisdom. Quite simply Peter Jensen is an incredible human being whose impact has and continues to be significant in the lives of everyone he touches.